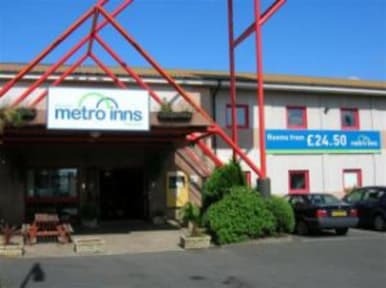 Metro Inns Teesside v Stockton on Tees, Anglie: Zarezervujte nyní! A 50% non refundable deposit is payable direct to the hotel once a group booking is made. The balance is payable 1 week prior to the arrival date. If you are looking for an affordable hotel, motel, lodge, guesthouse or just want a bed and breakfast, choose hotel group Metro Inns. Take advantage of the 'all year round' cheap rates at all of our hotels. Stockton-on-Tees is an ideal base to explore the north east of England with Durham City, Hartlepool, and the Yorkshire Dales all less than 45 minutes drive away making it a great location whether you travel on holiday or business. Take a break from other expensive hotels, motels, guesthouses and bed and breakfasts…. 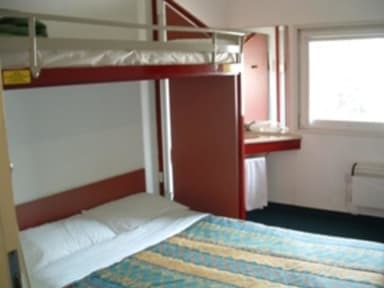 and try our cheap, clean and friendly Teesside hotel. During your stay at our Teesside hotel, take time to visit the Hartlepool Maritime experience, Durham Cathedral and Castle, Barnard Castle and High Force which is England’s Largest Waterfall. For the energetic there is always the Tees Barrage, providing water-based activities whilst football fans can head to Middlesborough Football Club which is just 5 miles away from the hotel. Take advantage of the 'all year round' cheap rates at all of our Teesside hotels. We hope you will enjoy your time at our Teesside hotel and in Stockton-on-Tees. If you would like some help or advice on things to do or see, please talk to our friendly staff at any time during your stay at our Teesside hotel.